We strongly believe in working together. We work with our local community and local farmers, as well as coffee farmers around the globe. We source our green coffee globally, traveling to the origin whenever possible. Once our beans arrive to us, we store them in ideal conditions to guarantee the freshest coffee possible. When it comes to roasting we are proud to say that we only roast in small batches. 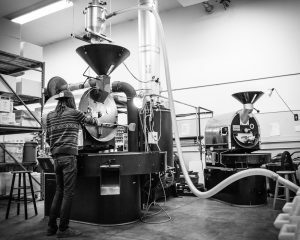 Roasting in small batches allows us to ensure that we roast each and every batch to perfection every time we roast. Check out our Available Courses below for more information or to schedule a class please call 1-269-455-5111. Classes can be scheduled Monday-Friday 9am-5pm with two weeks notice, each class has a two person minimum, so invite a friend! Learn the importance of factors in coffee production on taste such as, elevation, processing method, region, terroir, etc. Learn the difference between different brew methods, both pour over and immersion methods. 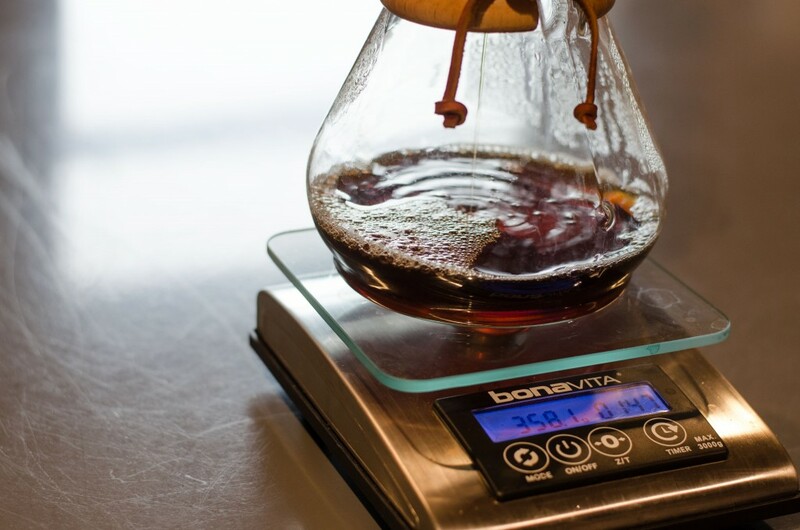 Learn how variables such as grind size, region, roast level, coffee to water ratio, time, and others factor into the brew method. Roaster for a Day. Learn how to cup coffee using professional cupping methods, discuss blend techniques, and roast your own coffee. Take home 10lbs of your custom blend to share with friends and family. The cost of this class is $300 and can accommodate up to 6 people. This offering is by appointment only Monday – Friday. To register, please contact the Roasting Facility at 1-269-455-5111.